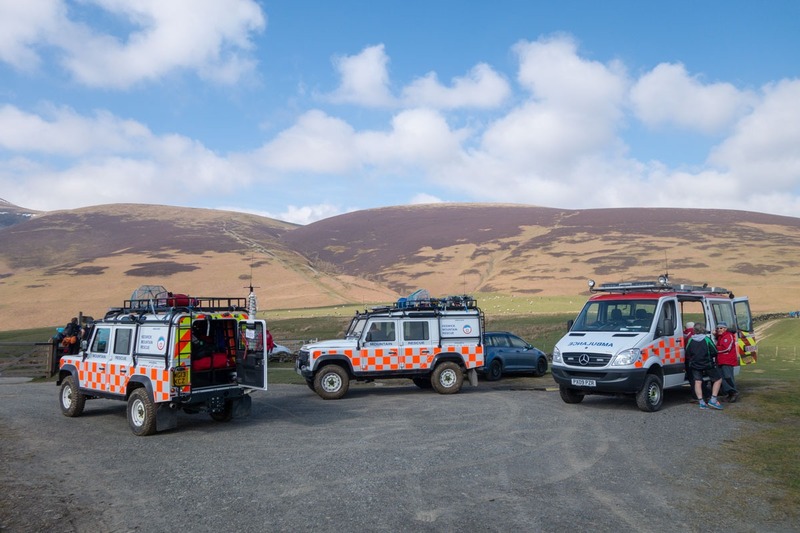 Whilst returning down the valley from the Eagle Crag (callout 18) we got the call to go directly to the Gale Road on Latrigg to attend a mountain bike accident. 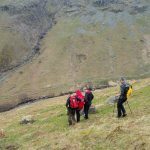 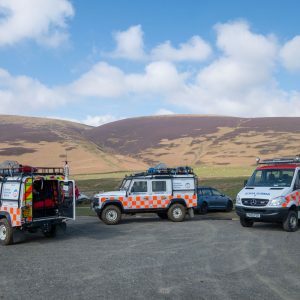 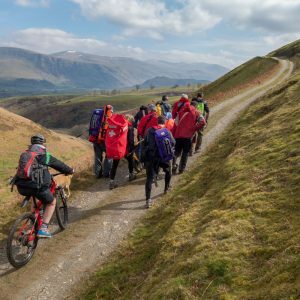 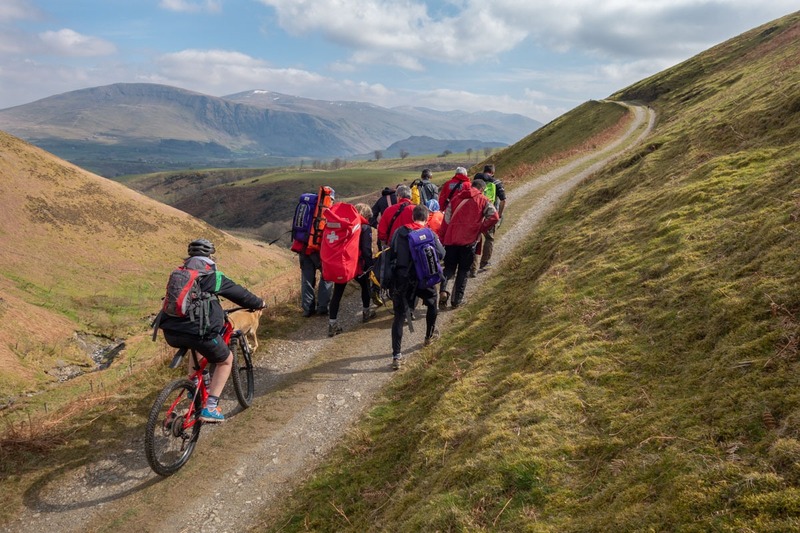 A group on E-bikes were descending the track coming from the Glenderaterra Valley on the lower slopes of Lonscale Fell when one of them, a 65 year old man, fell off at high speed. 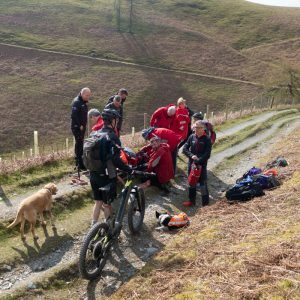 Afterwards he said it was ironic having survived the earlier far more technical sections of path and fell on a relatively straightforward albeit fast section of flattish track. 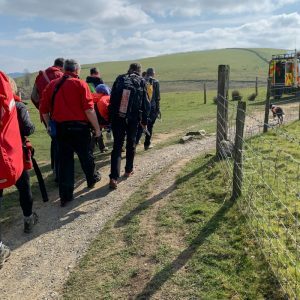 He tumbled onto his shoulder, side and head injuring his shoulder and ribs and he may have momentarily passed out. 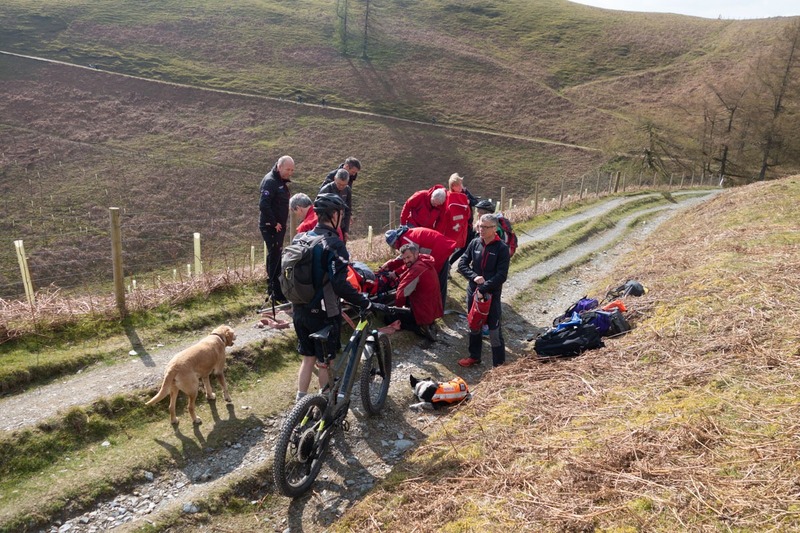 His recently bought helmet had significant scuffing on one side which undoubtedly prevented a serious head injury. 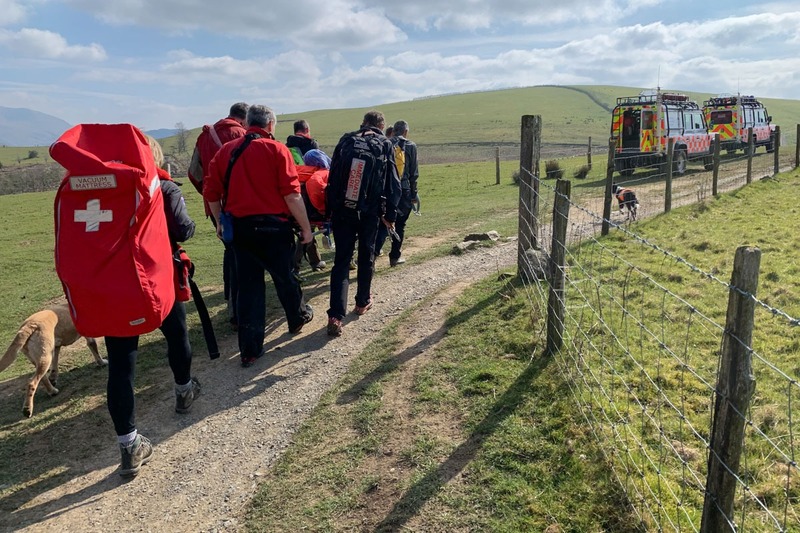 His partner arrived on the scene shortly after and managed to apply a triangular bandage to support his arm for what was probably a broken collar bone. 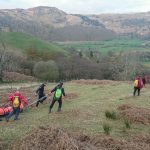 When the team arrived they gave some analgesia before loading him onto a stretcher to be carried to the vehicles on top of Latrigg and to await the NWAS ambulance for onward transfer to hospital.